Planning an unforgettable Father's Day for dad? 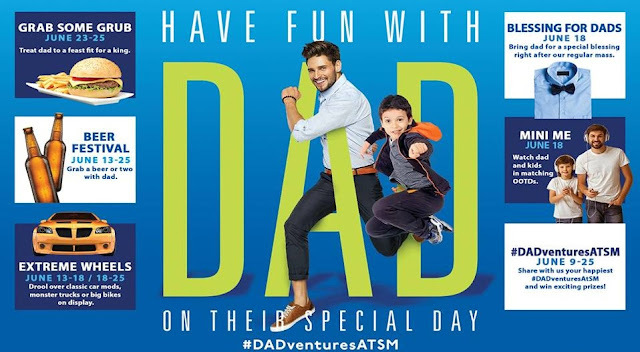 This year, SM Supermalls brings to the whole family a grand Father's Day celebration honoring dads in 62 malls nationwide through DADventures at SM. Happening this month are fun-filled activities offering many ways for us to show how much we love dad as we create family-first moments on his special day. Interested participants can check out the Sm Supermalls Facebook page for the #DADventuresAtSM digital promo details and updates. To find out more about DADventures at SM, visit https://www.smsupermalls.com/events/fathersday/.